More than 70 Pacific Ridge School artists performed or presented their work to the community on March 11 at Showcase of the Arts. 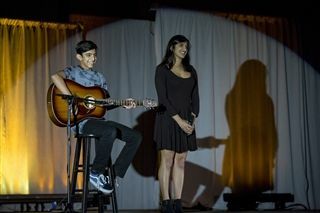 After enjoying a community dinner and perusing a collection of impressive work by visual artists in graphic design, photography, studio art and film, attendees were treated to performances by musicians, vocalists and dancers. Students presented an array of genres and styles, ranging from contemporary dance to hip-hop and from instrumental jazz to opera. Thank you to Mr. Dziekonski, to all the performers, and to the Pacific Ridge community for supporting the school's arts programs. More pictures from the event can be found on our Facebook page here.